Neocom: Returning ADS. Removing accounts. I rewrote large part of the code in the new version. For these reasons, i had to reset all settings, including the result of the donation. Do not worry! To remove the ads, simply make a donation again. Money is taken only one time. If you were paying earlier, the second time it will be free. Also if you have an iPhone and iPad, then you have to pay only on a first device. On the second device is to be free (on both devices you must use same Apple account). In this version implemented Customizable API Keys. So, all your previous API Keys is unsupported and will be removed from application. You must add new API Keys. This is awesome! After the initial shock of having to re-apply my donation and generate & add APIs, everything looks great; thanks for adding in Contracts! 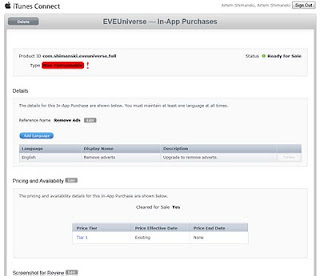 My accounts were deleted from my eveunicerse app and it won't accept any API keys I have even made new ones still didn't work. How do I fix this? CCP implements new Customizable API Key system (read more here http://www.eveonline.com/devblog.asp?a=blog&nbid=2383 ). 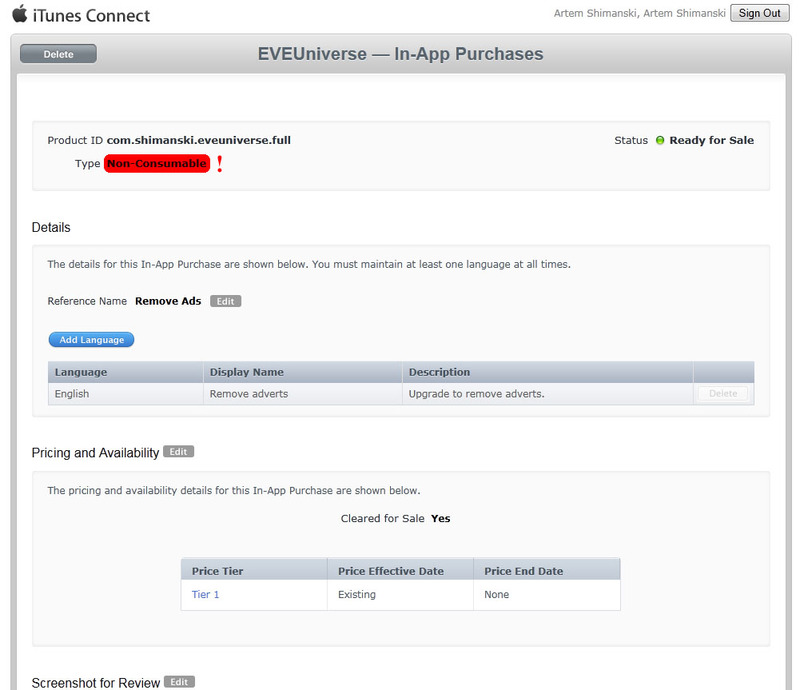 Old API Key currently not implemented by EVEUniverse. You need to generate new Customizable API Key on http://support.eveonline.com/api. Especially pay attention to the Expiry date. I already made a donation to have the ads removed prior to this patch, do i have to pay again? App looks great though, i would add a way to sort the order of toons though.